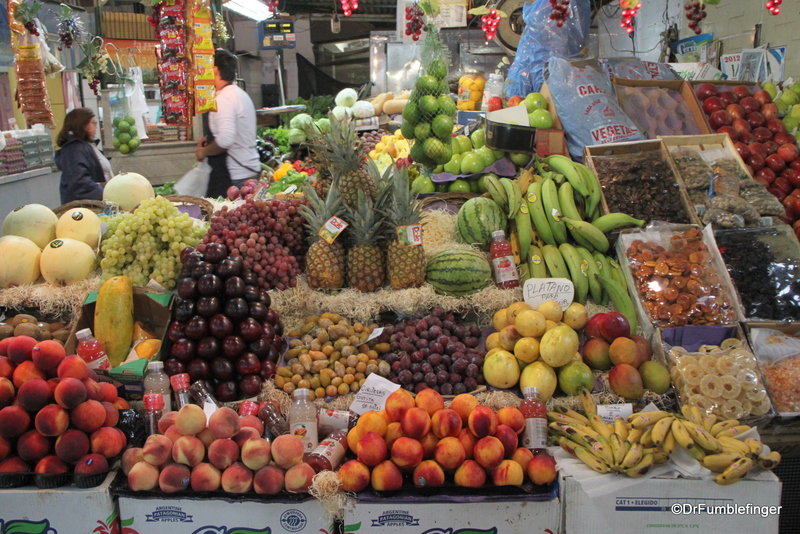 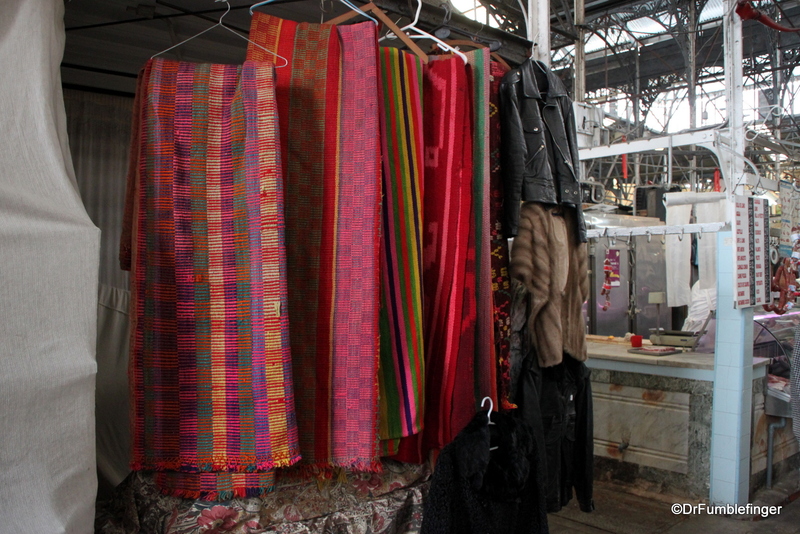 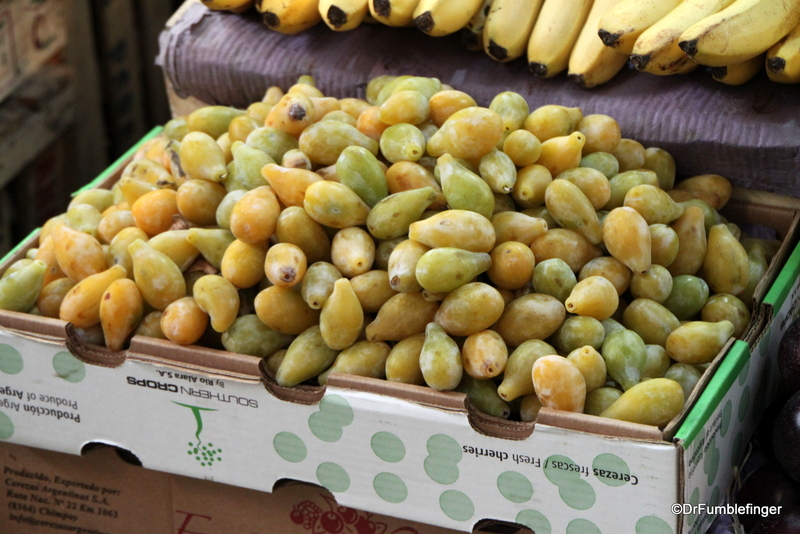 Markets are popular destinations for travelers and I’ve visited many of them during my travels. 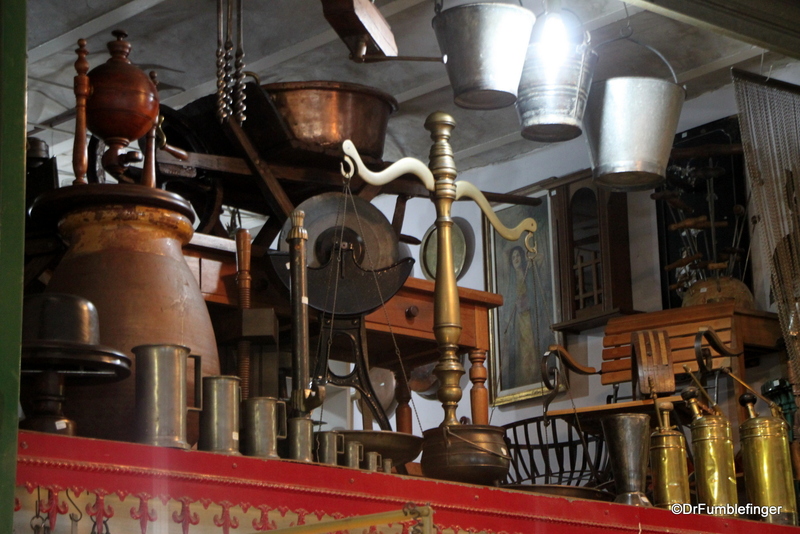 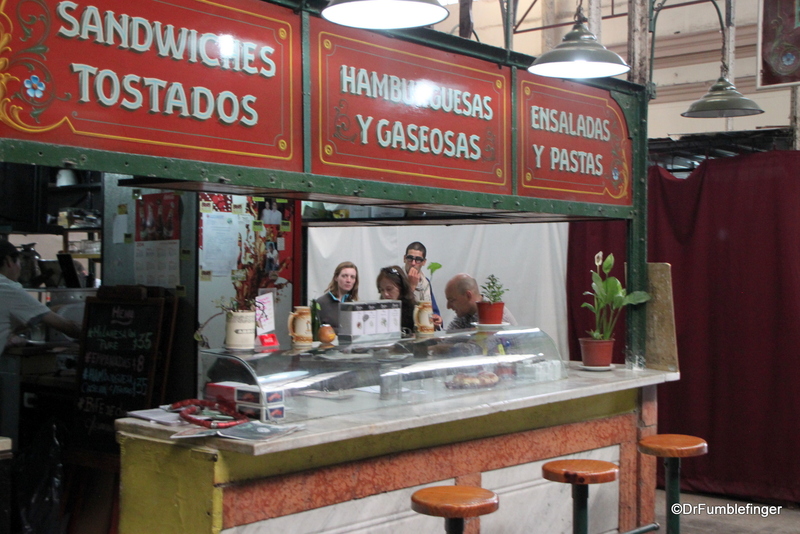 Today I’d like to share with you the Mercado de San Telmo, a large and historic market in Buenos Aires. 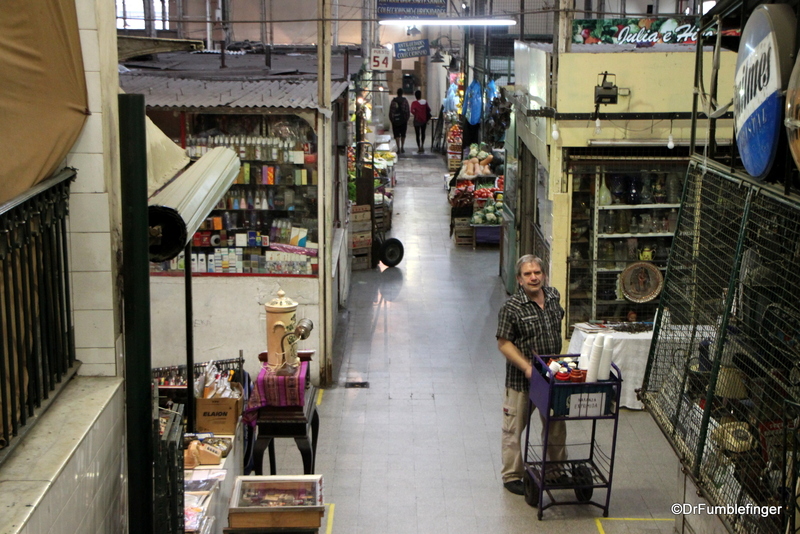 One hundred and fifty years ago San Telmo was the most upscale barrio in Buenos Aires but it was mostly abandoned by its wealthy citizens during a yellow fever epidemic in the late 19th century, its residents moving more inland to neighborhoods extending from Recoleta to El Tigre. 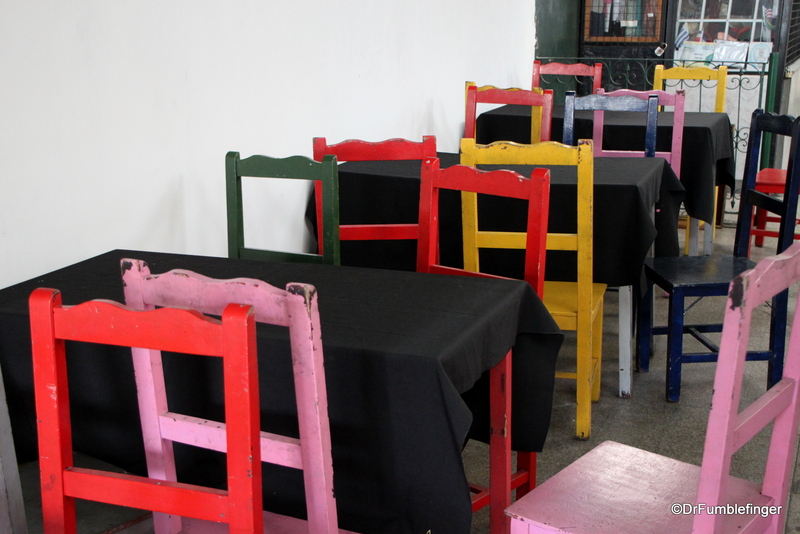 Poorer people moved in to the abandoned homes which were usually subdivided into apartments and rented out. 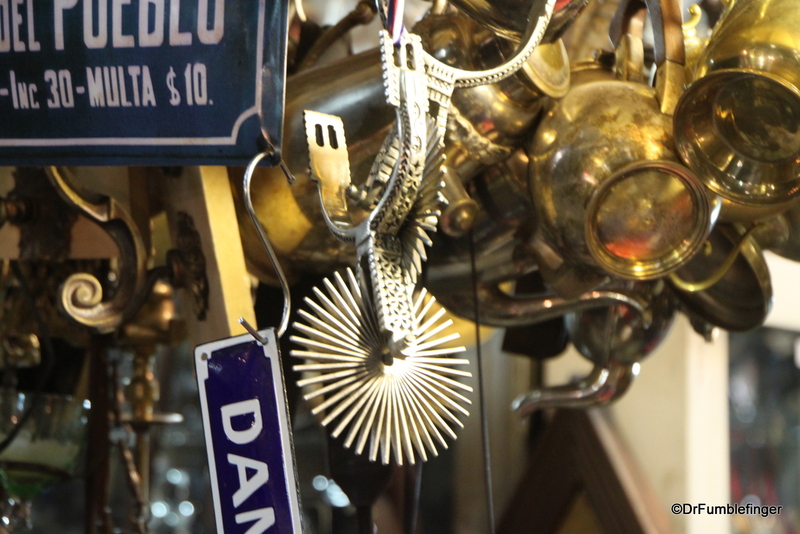 Today, San Telmo is a state of “elegant decay” — beautiful crafted old buildings which are neglected and in need of paint and repair, but still with some great architecture and excellent restaurants and Tango clubs to be enjoyed. 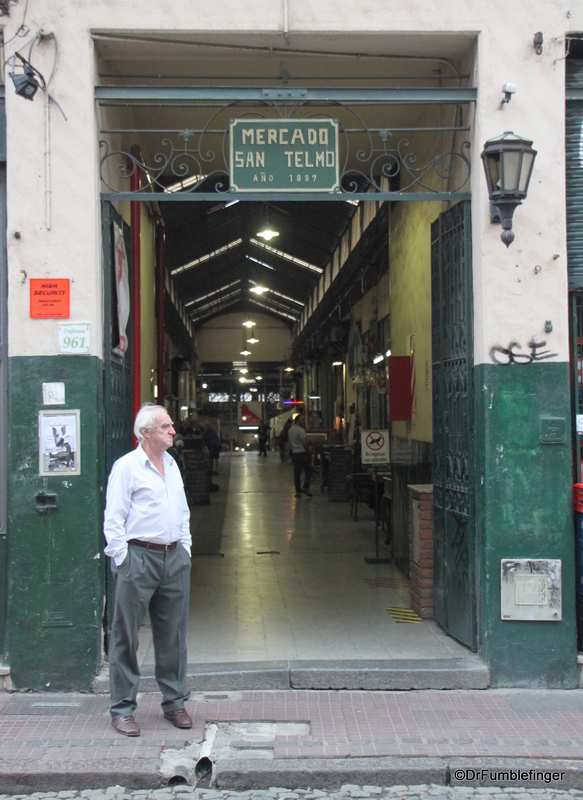 We’ll discuss San Telmo in greater detail soon, but today I’d like to focus on its famous market. 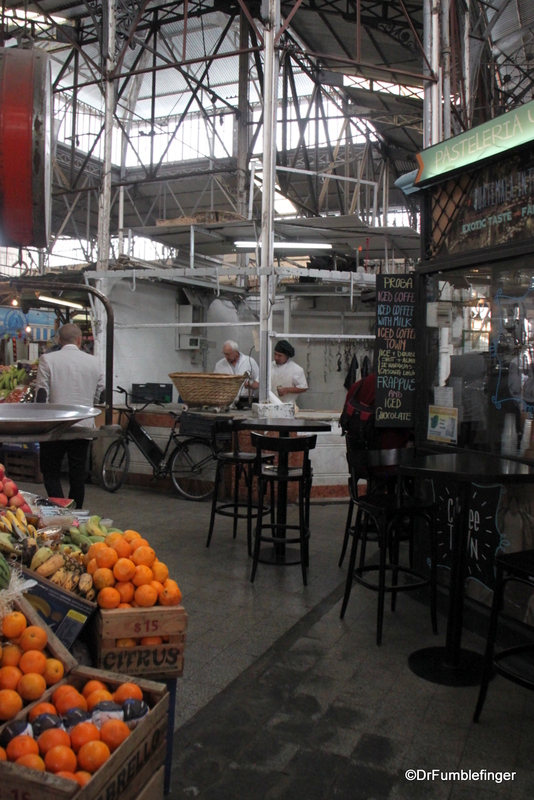 Occupying almost an entire city block, Mercado San Telmo was built in 1897 by Juan Antonio Buschiazzo, an Italian-born Argentine architect who is most famous for designing the Recoleta Cemetery. 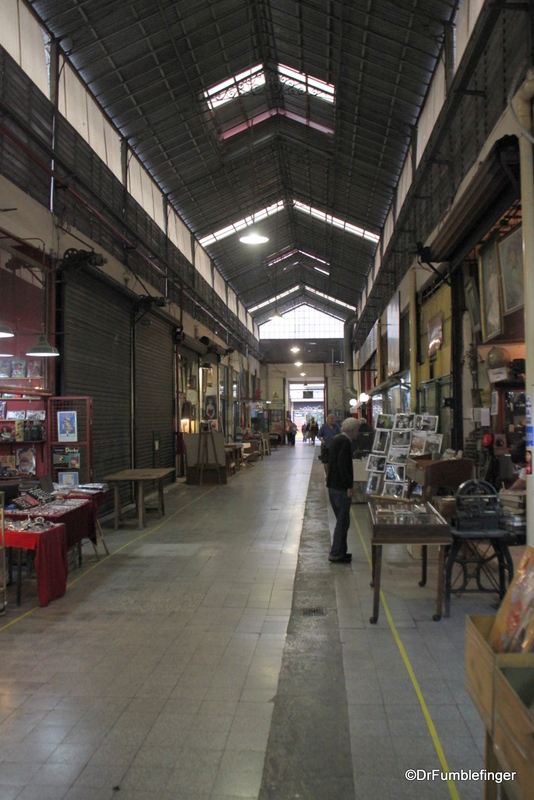 The market’s age, large skylights, wrought-iron interior, “used” look and interesting variety of shops make it a fun place to visit. 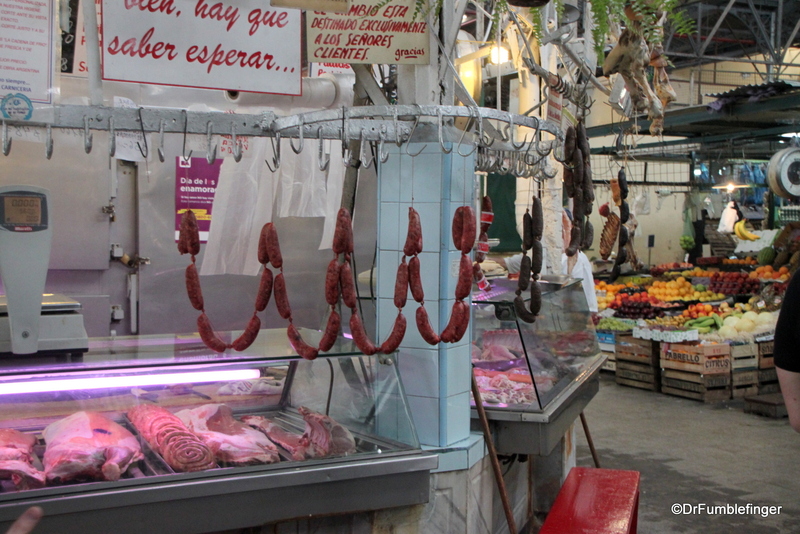 It’s where locals shop for wonderfully fresh produce, cheese, baked goods and meat. 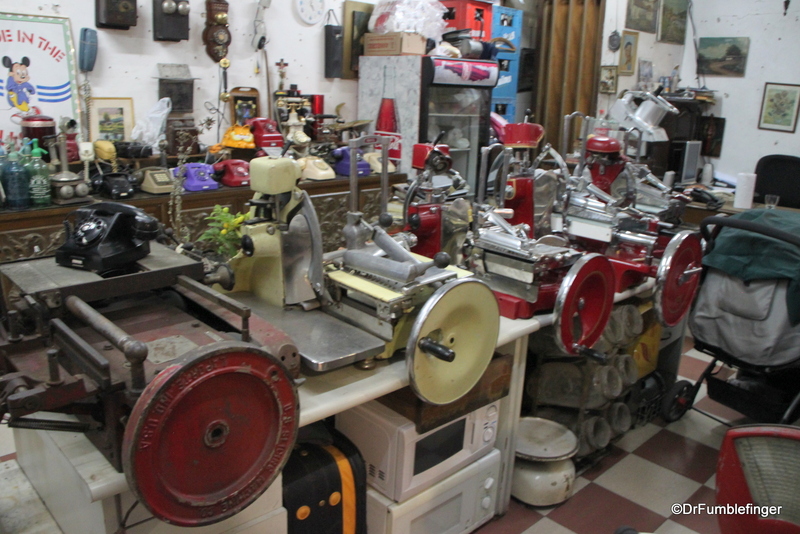 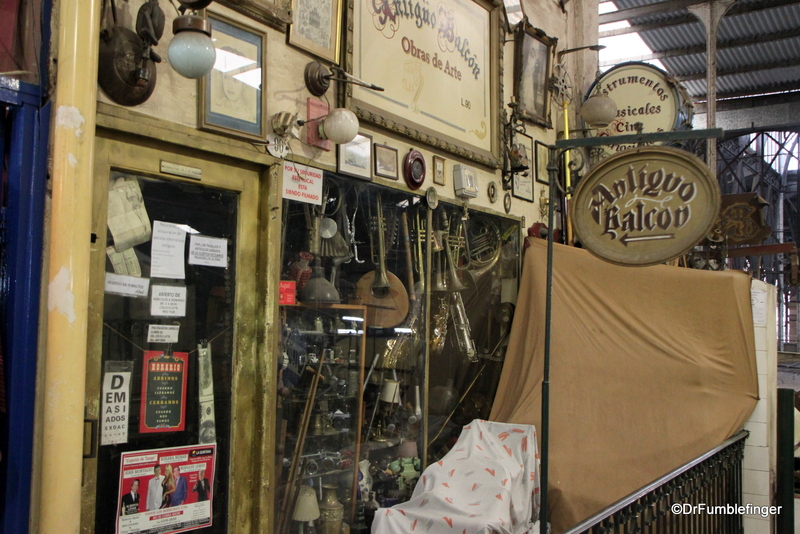 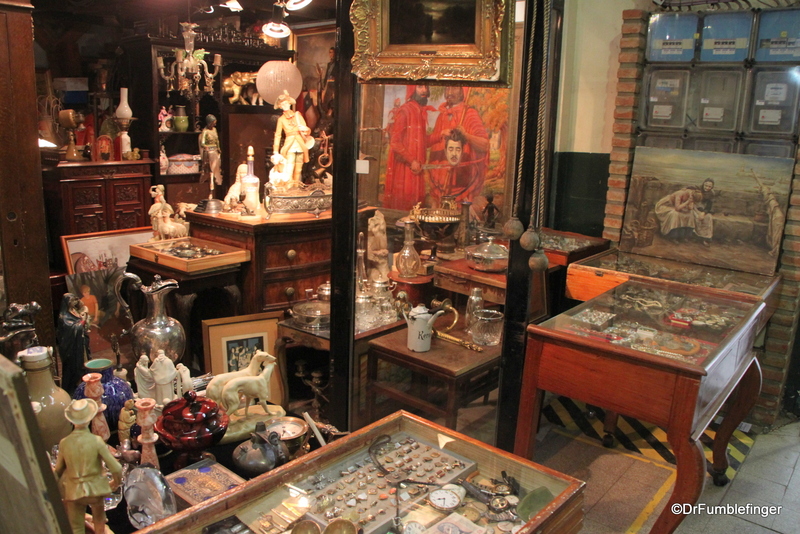 This is where residents and visitors come to look for secondhand luggage, antiques, books, videos — almost anything. 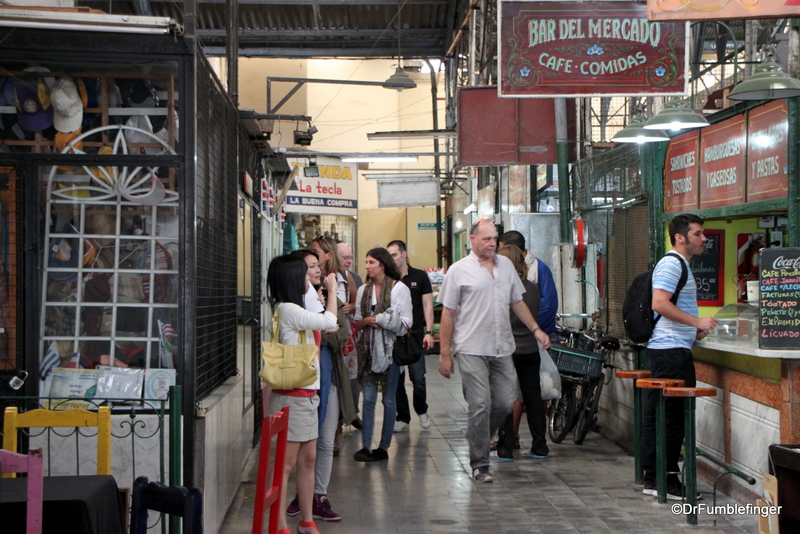 Many vendors open their shops around 10 am, close after lunch for siesta, then reopen late in the afternoon for a few hours (schedules generally are not firmly set, as you’d expect in Latin America). 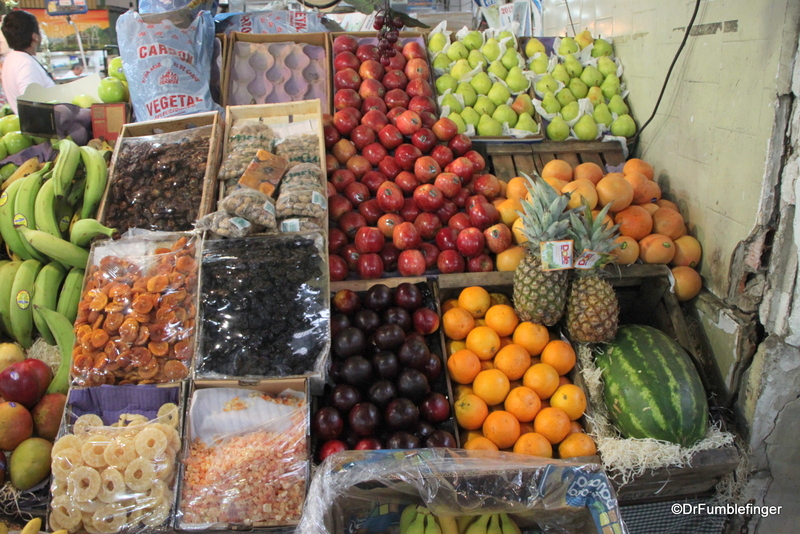 More stalls are open on weekends when the streets of San Telmo hold a very famous antique fair which fills the barrio’s streets and spills into this market, but its busier then and I like the relaxed feel of the market on a weekday. 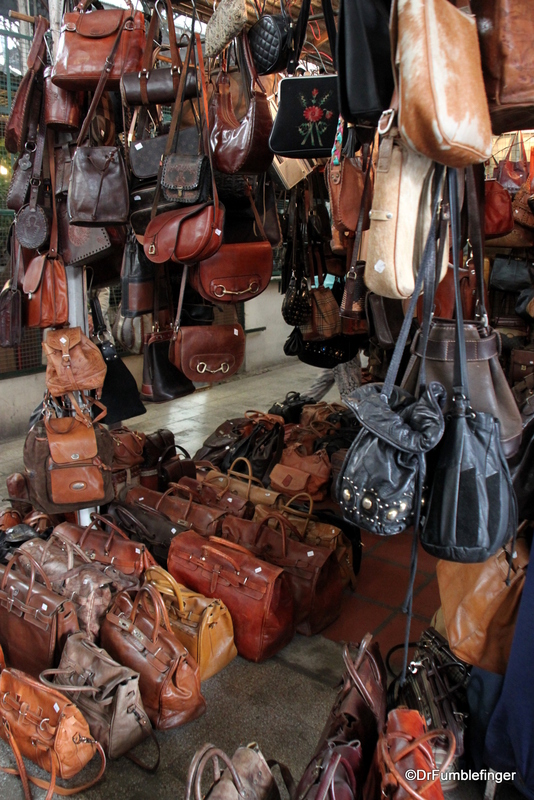 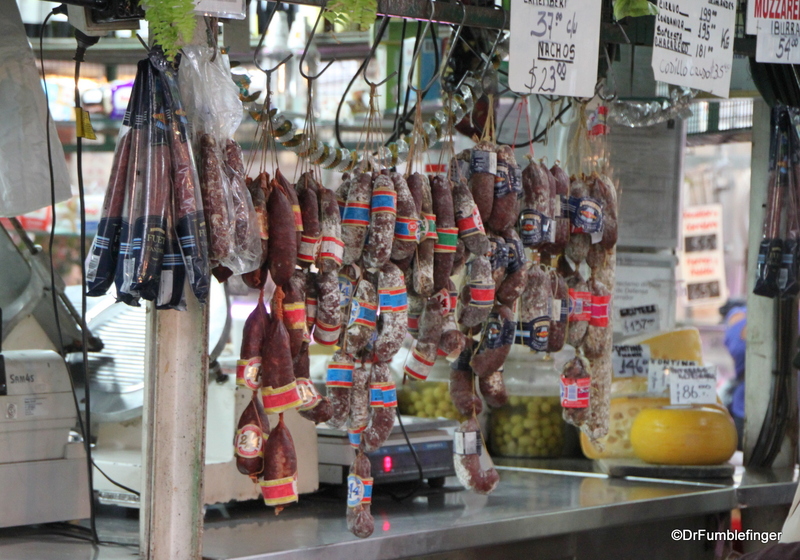 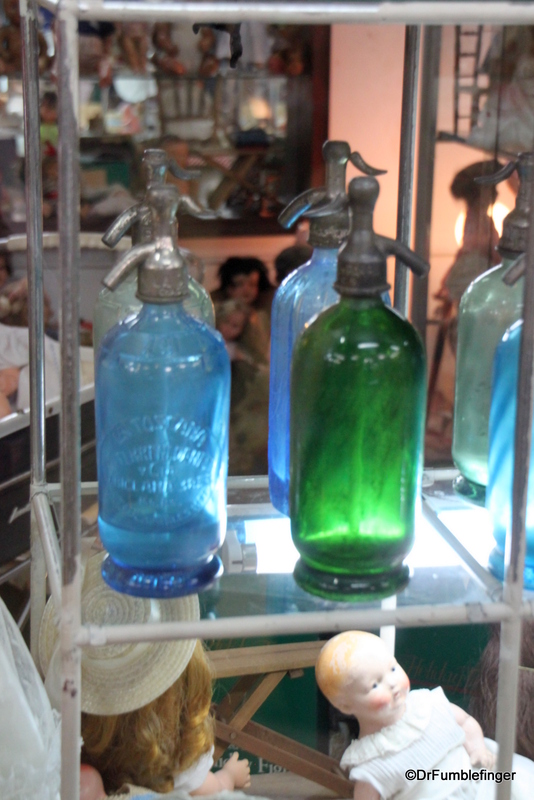 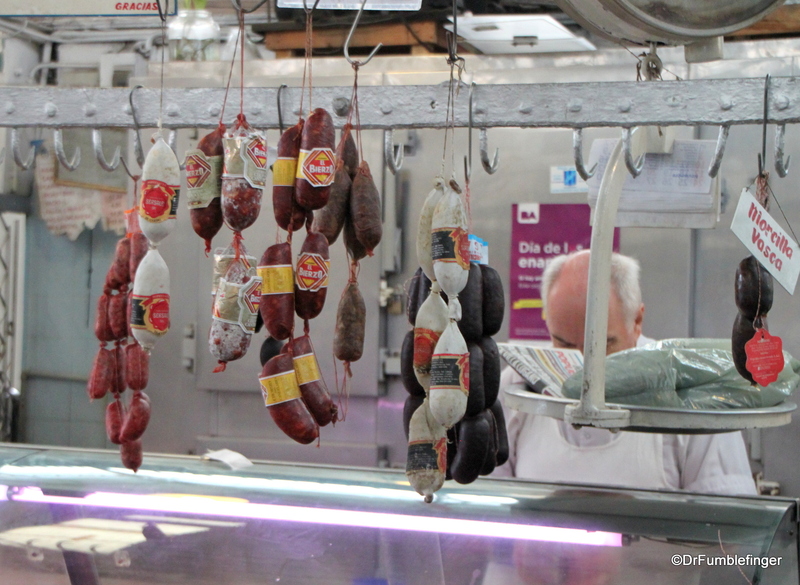 The market was my favorite place in San Telmo and among the best destinations we visited in Buenos Aires. 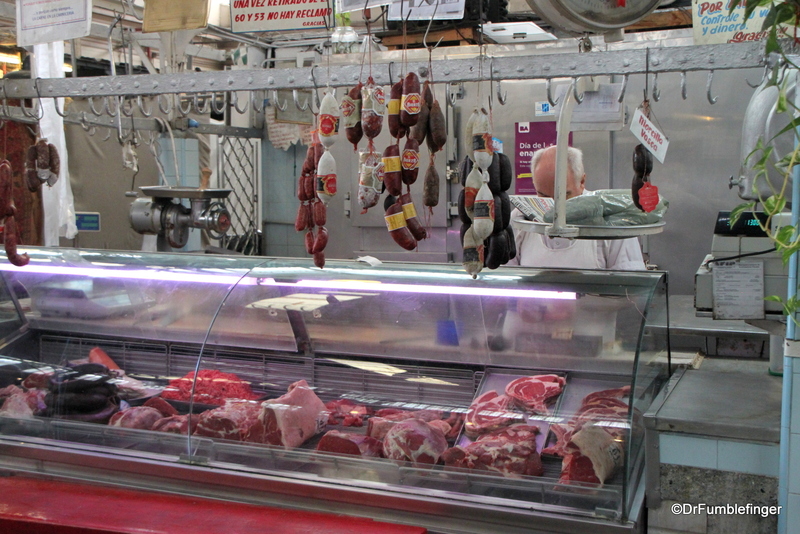 Be sure to stop by — best to go in the morning or just before supper. 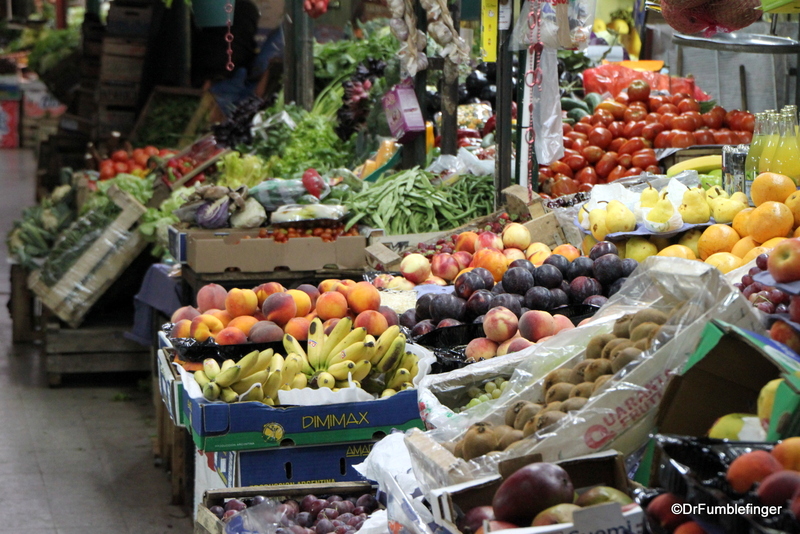 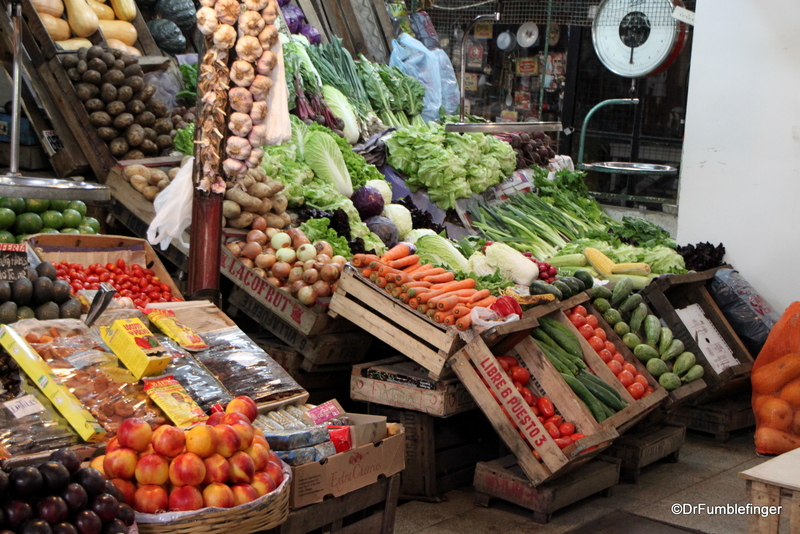 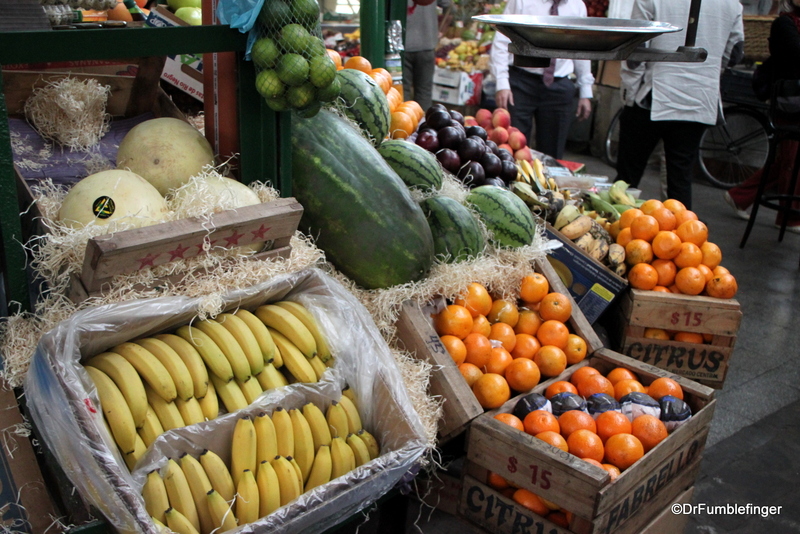 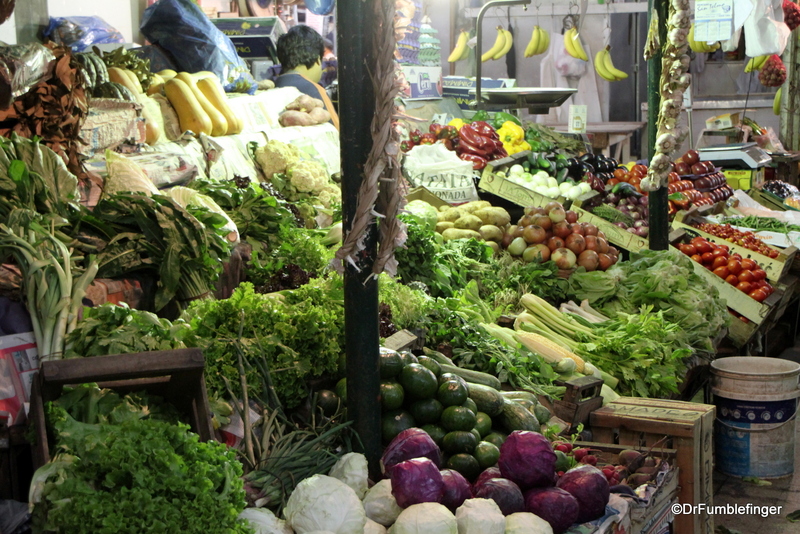 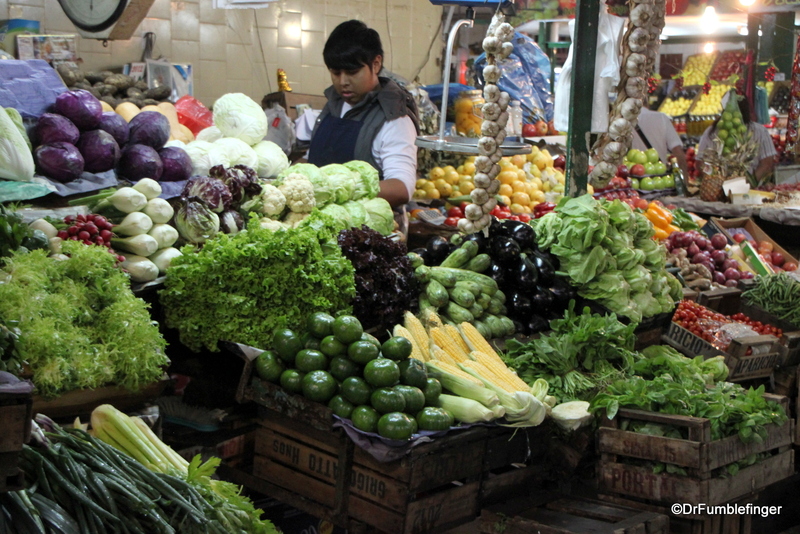 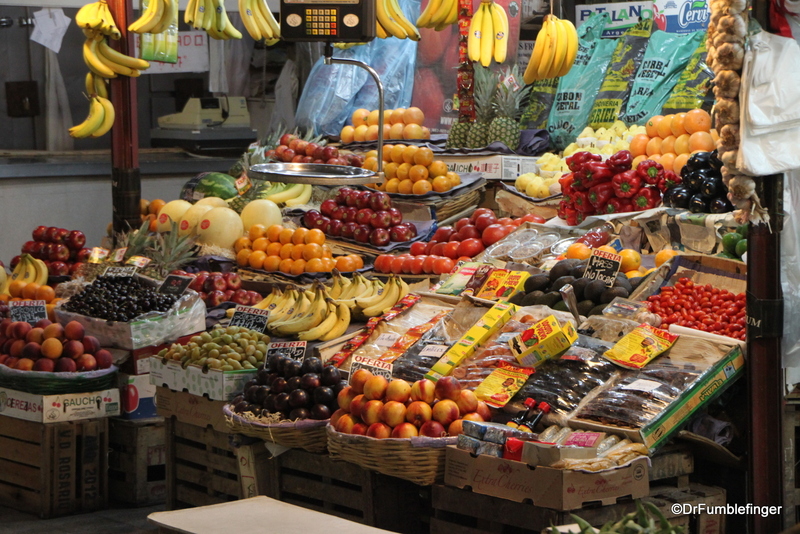 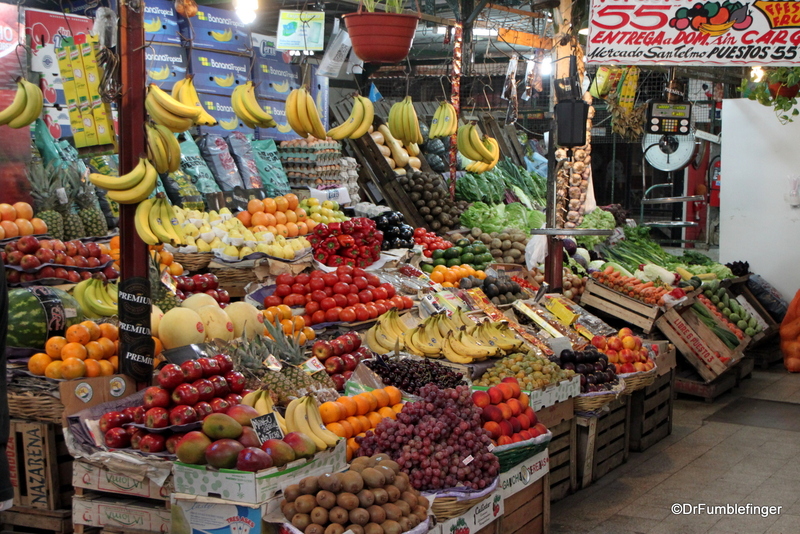 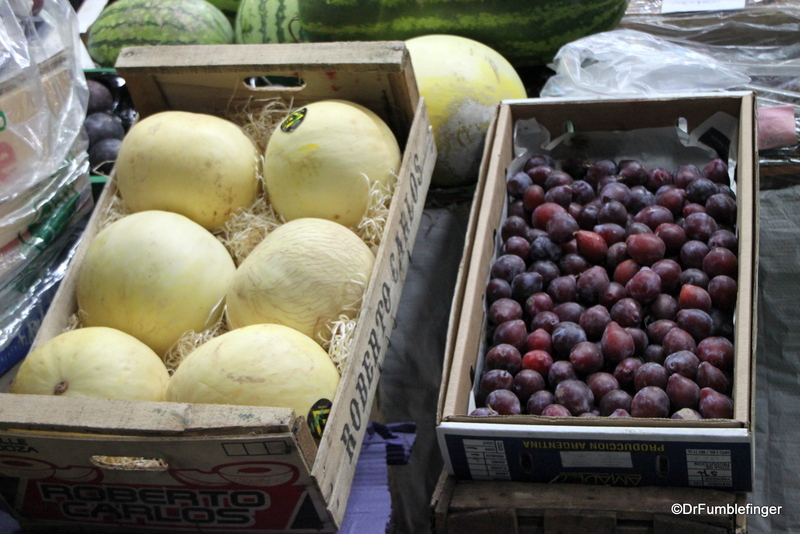 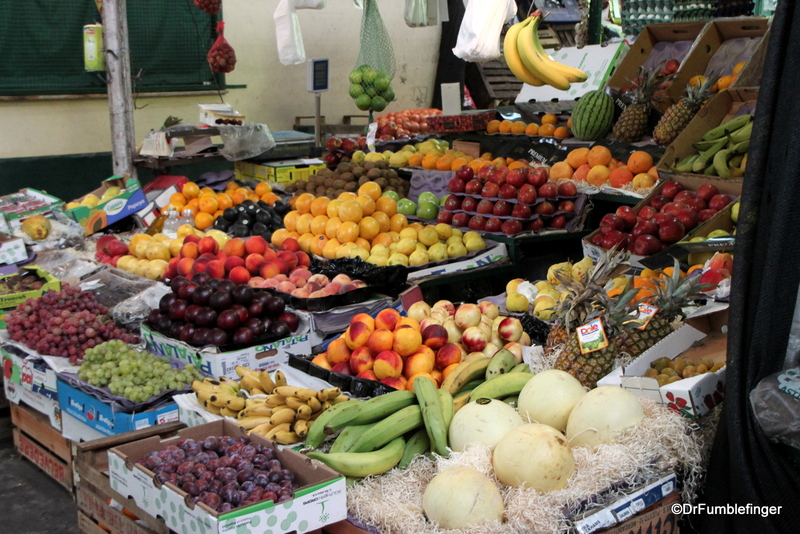 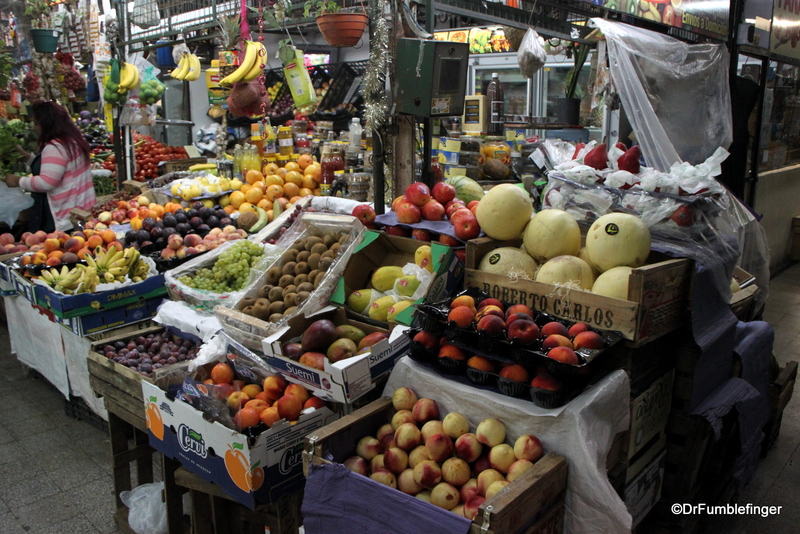 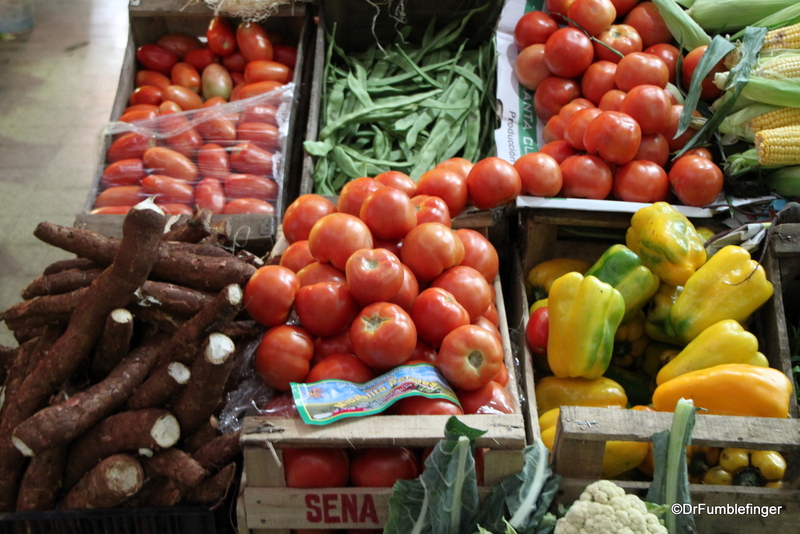 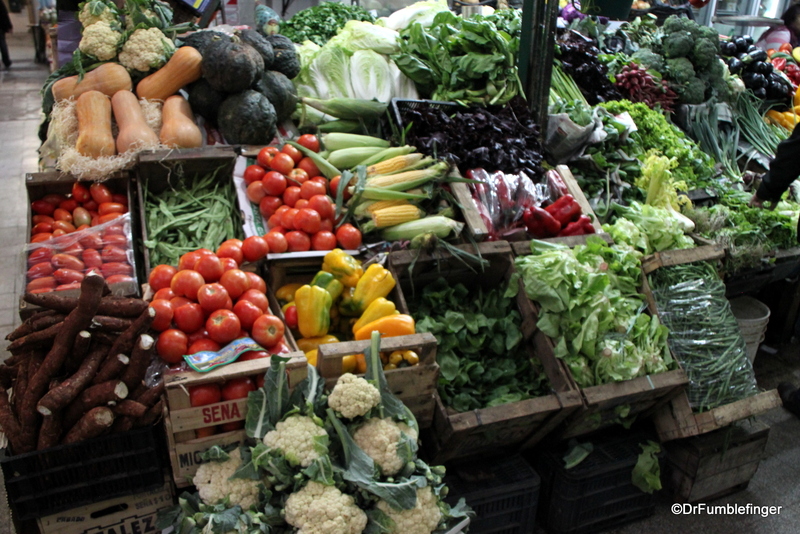 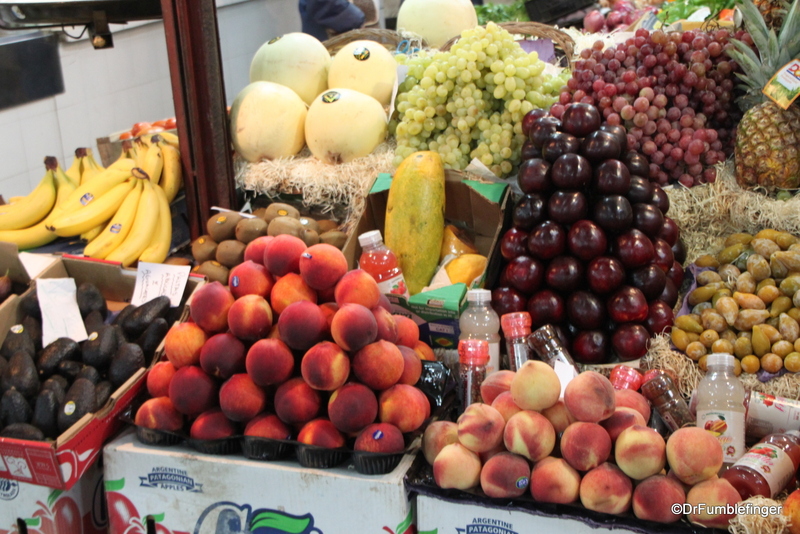 The market is a great place to explore and get lost in the history of Buenos Aires, and to revel in the bounty of its agriculture; to see what local people eat and get a feel for how they go about their everyday lives. 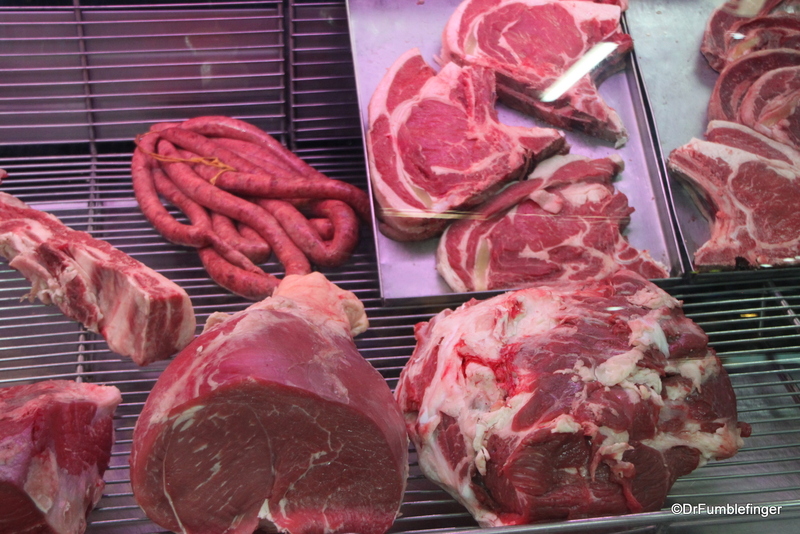 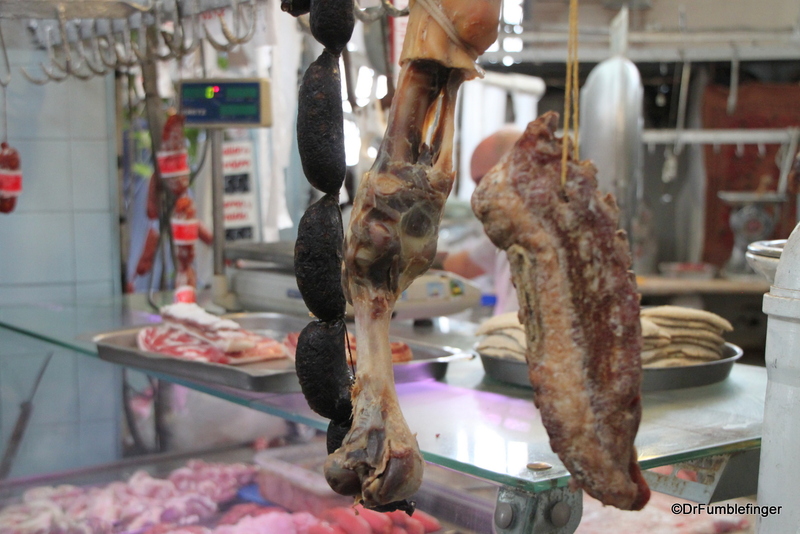 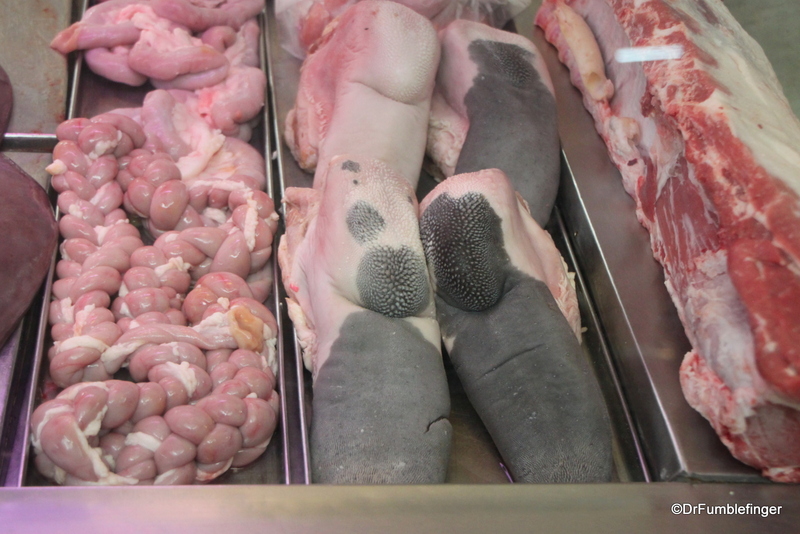 For example, the meat counters displayed ALL cuts of beef — from the fine steaks and sausages to brains, to the tongue, stomach and intestines, liver, kidney, and sweetbreads. 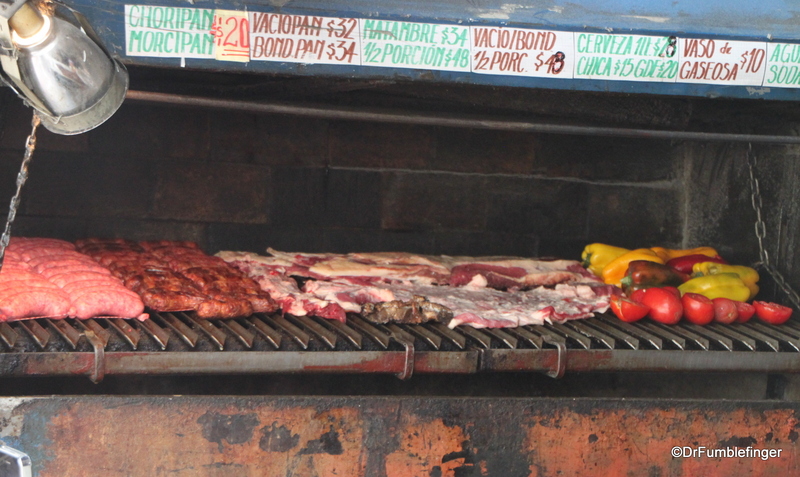 Nothing goes to waste — everything is cooked and enjoyed. 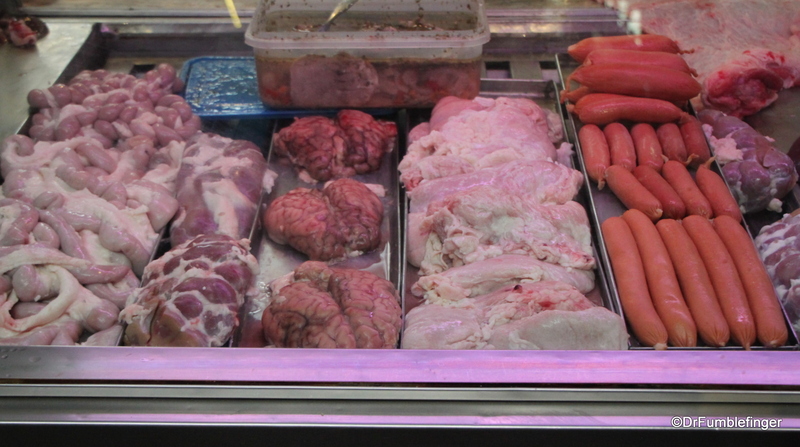 The meat counter displays are just one example of how things are different, so very different from the cuts of cellophane wrapped red meat we’re used to in North America. 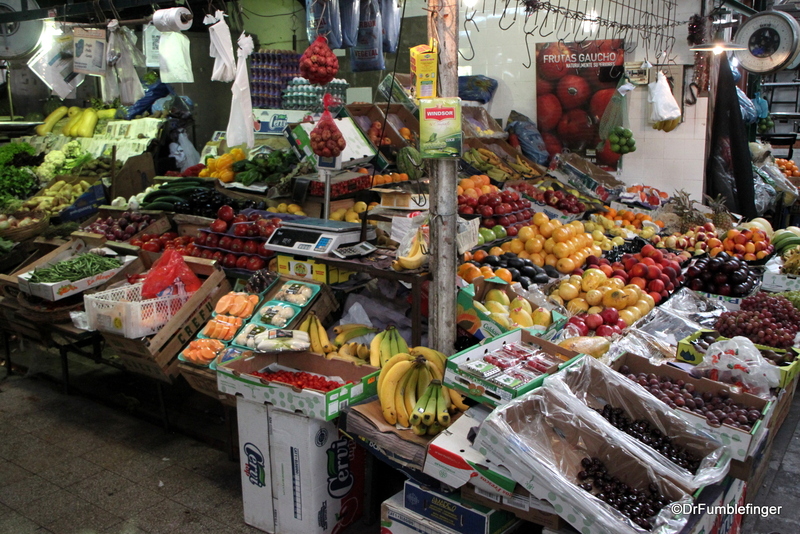 Hope you enjoy the following photo gallery of the market. 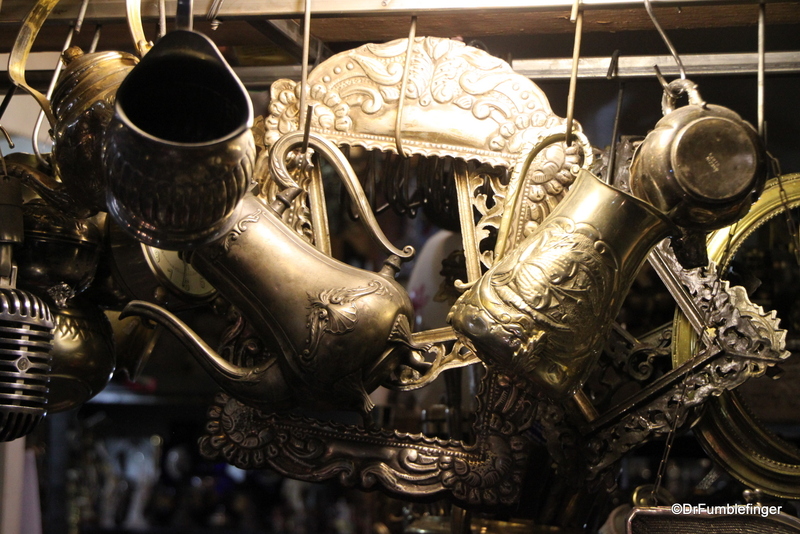 More detailed descriptions of the photos can be found by clicking on the thumbnails below (if you’re interested).